Ken Whelan is a fisheries scientist with extensive international experience who now works as a freshwater and marine fisheries consultant. His work covers a broad range of areas including sport fisheries and the marine and freshwater ecology of migratory fish. He was born in Dublin in the early 1950s. Along with his Dad and his brother Brendan, Ken spent his early years trout fishing and sea fishing their favourite haunts throughout Ireland. As a result of his work in fisheries and his undiminished passion for angling, Ken has been fortunate enough to fish all over the world. Ken is constantly intrigued by the ever changing nature of flowing water and is fascinated by the variety of life to be found in even the tiniest of feeder streams. He is equally at home rummaging about on the streambed or casting a dry fly to a rising trout. He has written extensively on angling topics and his book The Angler in Ireland - Game, Coarse and Sea (1989) is considered one of the most detailed works on Irish angling ever published. Ken has also produced, presented and scripted many films and videos on various aspects of Irish fisheries and angling. Amongst his other work he completed a PhD on the biology of Irish ephemeroptera (mayflies) and has more recently studied the potential impacts of climate change on Ireland’s seas and freshwater ecosystems. Research Director of the Atlantic Salmon Trust, 2010 to present. Lucky to have weaved his hobby into his job, he is never quite sure whether he is working or enjoying himself! 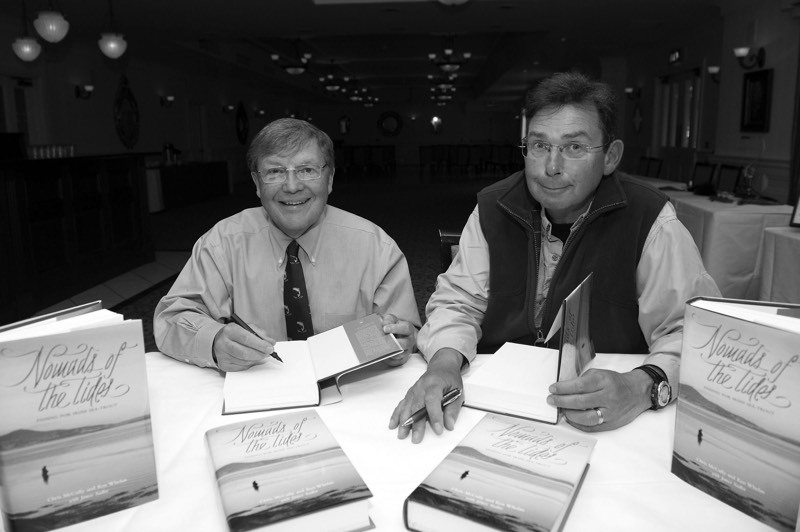 Nomads of the Tides, written with Chris McCully, was published in 2013.